If you are a regular fashion enthusiast, then here are few fashion accessories you must have in your wardrobe to be always chic, fashion-ready and presentable. 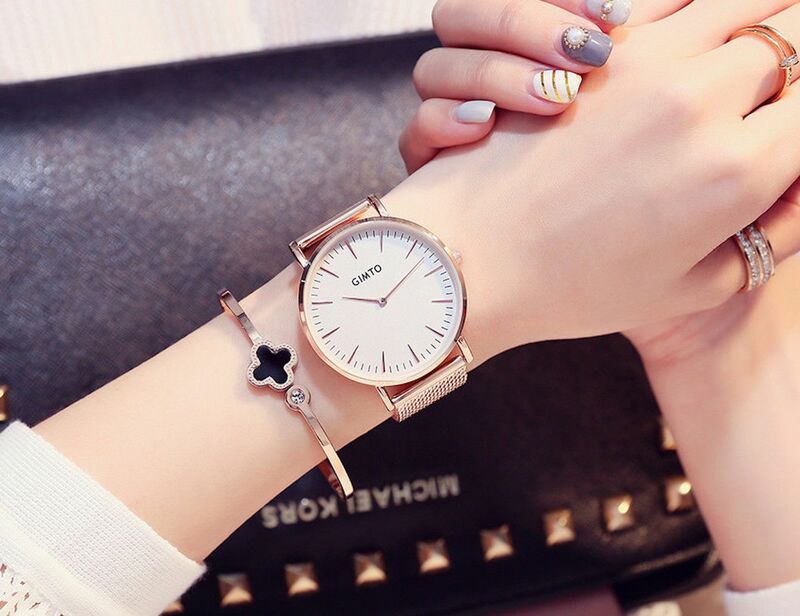 While talking about the 5 accessories that one must have, a statement watch always tops the list! It does not only help you to compliment your overall look but also acts as an essential piece of personal object. It is one of those timepieces that everyone should carry with themselves all the time. Watch can be of several types- over size watch, leather belt watch, metal chain watch, band watch, bracelet watch, etc. Each of these watches can complete your day to day look if worn with suitable attire. Wear a simple leather belt watch for the office purpose, oversized watch while going for boho look, metal chain watch for an evening party and a bracelet watch with a more casual wear. A watch not only acts as a fashion accessory but also as an important device which helps us to be on time. On days when women don’t feel like dressing up too much and donning other fashion jewellery, a watch emerges as a simple yet perfect accessory. Shop for varieties of watches from the different online shopping sites like Amazon, Flipkart, Myntra, Jabong, Ajio, etc. Some famous and international brands like Omega, Rolex, Cartier, Montblanc, Tommy Hilfiger, etc. have their own website on which you can order your favorite watch. Titan is one of the best brands for watches. It produces watches of all price ranges which vary from pocket friendly to budget watch to premium watches. One of the best and most sold models of Titan watch is Titan Edge Analog watch with brown dial and strap. Shop for the Titan watches at amazon with up to 25% discount on every model. In recent years sunglasses have become one of the most important fashion accessories for the youth. Sunglasses are of several types like- wayfarers, aviators, round glasses, oval glasses, cat eyes, oversized glasses, sports sunglasses, etc. Wayfarers and aviators are the most commonly used and loved sunglasses among this category. Sunglasses are one of those unisex accessories which can be worn by both men and women. A simple black sunglass can look good on both man and women at the same time. You can team up a sunglass with any look- be it Indian, traditional, casual, fancy or western. Is it too sunny outside? Wear a sunglass! Suffering from puffy eyes? Sunglass can hide them! Want to keep a low profile and not watch people to notice you? Sunglasses come quite handy. There are million reasons for the young as well as old generation to don perfect sunglasses. The best online stores to buy a perfect pair of sunglasses are amazon, Flipkart, Myntra or Jabong. Some of the major brands of sunglasses are Fastrack, Ray ban, Vogue, IDEE and many more. Scarf can be described to different people with multiple names – it is popularly known as a stole and traditionally known as a dupatta. The only difference among these variant names is the sizes of the product. For example- a scarf is smaller in size than a stole or a dupatta and can be clubbed with western clothes, while a stole goes with indo-western attire and a dupatta perfectly matches with more traditional wear. Scarf is a multipurpose fashion accessory. It can be used to protect you under sun from blazing hot sunlight or act as a piece of cloth to protect yourself from chilly wind. Scarves can be styled with various patterns. For example the most common way of styling a scarf is by draping it around your neck on a simple top or by letting it fall loosely on your neck on tunic. A perfect way to recreate a retro look is by draping a block colored scarf around your neck with a front knot. You can also club a scarf with shirts and t-shirts of contrasting subtle colors. There are different types and styles of scarves available for you such as a unisex pashmina scarf for autumn look, woollen scarves, mufflers, shawls, cashmere scarves, etc. One can buy the best fashion accessories from leading stores at nominal costs via online promo code. 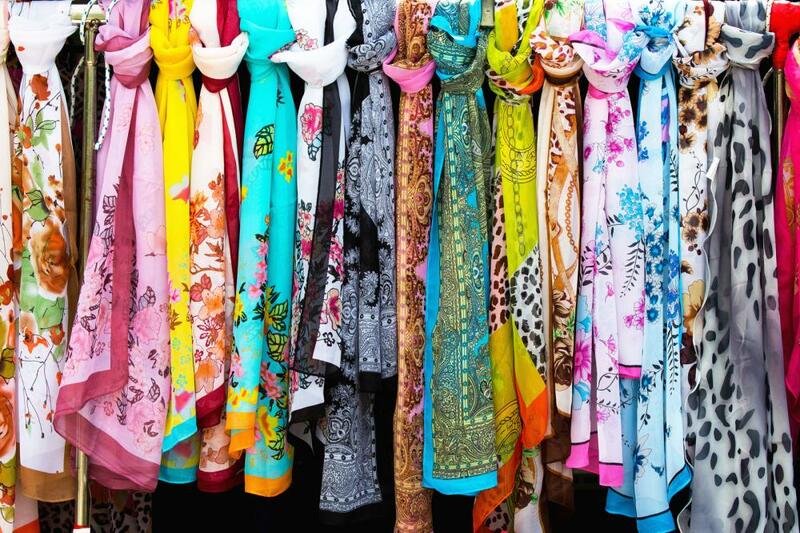 You can buy a variety of these scarves online from websites like Amazon and Myntra. If you conduct a survey about the most important piece of accessories among people, then hands down, Bags would emerge as a complete winner. Carry it on your back or side or cross body- bags looks good with every outfit on men and women of all ages. There are different types of bags available for both men and women. Men have it simple with backpacks and shoulder bags while women have plethora of styles to choose from which ranges from handbags to sling bags to tote bags, backpacks, wallets, clutches, etc. Each of these bags is used on different occasions and is meant for different purposes. A sling bag is perfect for a casual western wear, while a handbag looks good with formals, ethnic and traditional wear. A clutch can be used for the party purpose or an evening dinner, while tote bags are the must have fashion accessories for the college students. On the other hand men use their backpack on all occasion like college to general outings and shoulder bags for the office purposes. Shop for different styles and patterns of bags for both men and women via online stores like Amazon, Myntra and Jabong or you may also use jimmy jazz gift card promo online to get best offers and discounts from one of the highly stylish US retailers. For men, the best bags are produced from the brands like Skybags, Fastrack, Puma, Tommy Hilfiger, etc. The best brands for women handbags are- Lino Perros, Lavie, Caprese, Diana Kor, etc. Whenever someone talks about accessories, the first image that emerges in our mind is of jewellery. Fashion jewellery is of several kinds- silver jewellery, statement jewellery, cocktail jewellery, etc. All these kinds of jewelleries are sub-divided into other categories like nose rings, earrings, rings, bangles, bracelets, pendants, neckpieces and many more. Jewelleries are the most loved possession for women. Women love their jewellery and like to own a mountain of them. 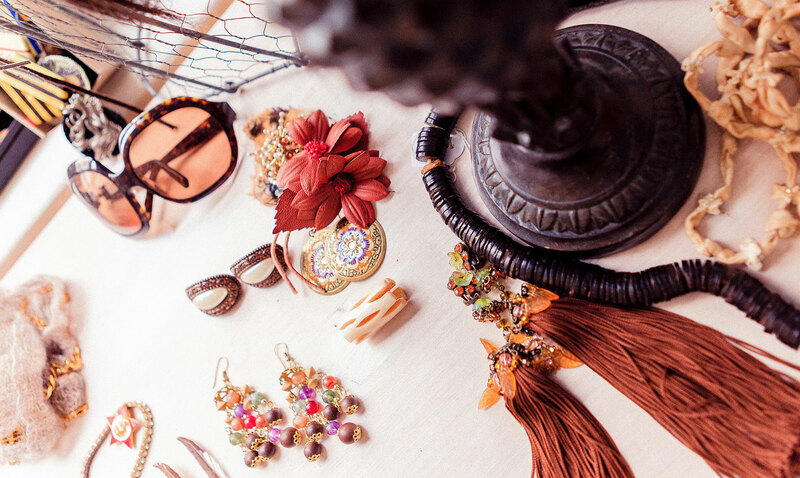 Each piece of jewellery serves a different purpose to create a look. For example- silver jewellery only looks good with ethnic or boho look while statement jewellery only goes with more casual attire and cocktail jewellery is a perfect match for the evening or a party look. For women in particular jewellery embarks as the most essential and must have fashion accessories among all. To complete a traditional look, a chunk of silver jewellery like silver jhumkas or chandalis and bangles with ethnic wear are perfect. For donning a western look, one should always keep the fashion jewellery to minimum and should opt for a simple bracelet and double layers pendants or neckpieces. For an everyday wear one should always opt for different types of earrings and finger rings. 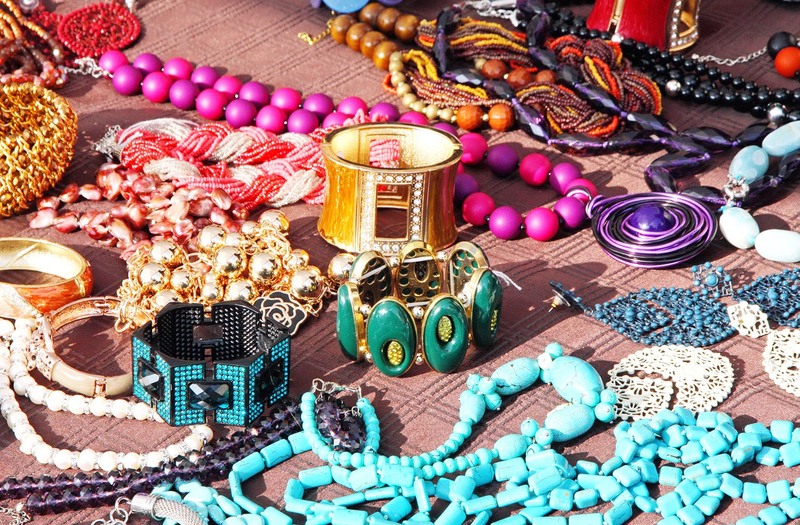 Owning too many bracelets and bangles are never a bad thing as it goes with both the Indian and western look, so one can have varieties of pieces to choose for everyday purpose. Some of the best online stores to buy jewelleries are- Amazon, Jabong, Ajio, Myntra, etc. Fashion accessories are a wide horizon to talk about and to select the top 5 fashion accessories from it is a difficult task. However, these are few of the most integral fashion accessories one must have in her wardrobe to be presentable and fashion ready at all times.